Going about your daily life while suffering from back pain can be a debilitating factor for anyone. This malady can occur gradually and it may strike unexpectedly. Back pain may become obvious when you wake up one morning and find it hard to roll out of bed, let alone walk upright without grimacing in discomfort. Our chiropractor in Rye, Dr. Joseph Askinasi provides back pain relief by delivering expert care using kinesiology, physiotherapy and corrective exercise techniques combined. He offers wellness services to patients who are looking for a non-surgical approach to their back pain that does not rely on narcotic pain relievers. A number of conditions are associated with all types of back pain, including the quite common lower back pain. For instance, a patient might have a ruptured or bulging disc. Arthritis, which tends to occur as we age, can also be a factor in back pain. From genetics issues to pregnancy to kidney stones or endometriosis, back pain can arise from many factors. As your Midtown chiropractor, we recommend you visit our clinic to further diagnose and treat your personal injury and pain. Our chiropractor will take your history during an initial consultation, and then it will be time to examine you. The chiropractor will want to see how flexible you are and get a sense of your range of motion. Options for treatment include corrective exercises, chiropractic orthopedic techniques, or physiotherapy. You can also expect that our chiropractor will advise you on maintaining good posture. Dr. Askinasi may send you on your way with a list of exercises that you can do to strengthen your back muscles at home. The discomfort you’ve been experiencing in your back will become a thing of the past after you arrive at our facility and begin undergoing a course of chiropractic back pain treatment. 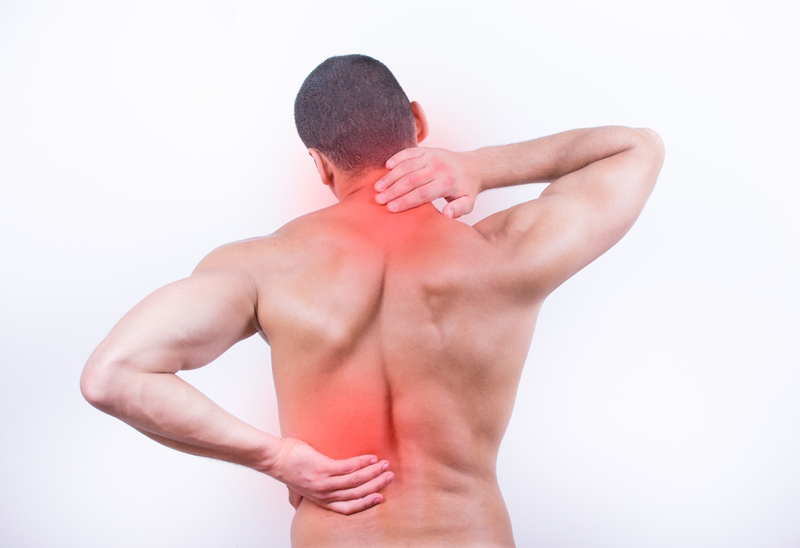 When pain is affecting your back, we are here to help. If you would like to learn more about how we can aid your back pain issues contact Joseph K. Askinasi D.C. today. We have two locations serving the New York Area. Call us today at (212) 557-5822 to schedule an appointment!